In the late 1980s and early 1990s, the landscape of Los Angeles was changing with the addition of several new gated communities. These luxury developments offered the most affluent and influential people in the city with an opportunity to reside in private, secure estates. Mulholland Estates one of those elite gated communities, and it continues to appeal to celebrities and other professionals who crave a peaceful lifestyle that is draped in elegance and opulence. Similar to other gated communities in the nearby area, Mulholland Estates features a 90210 zip code yet is within the city limits of Los Angeles. This allows residents to enjoy the benefits of being assigned to the Los Angeles Unified School District. Those who live here also have the choice of sending their children to one of the many exclusive private schools that are peppered throughout the surrounding neighborhoods. 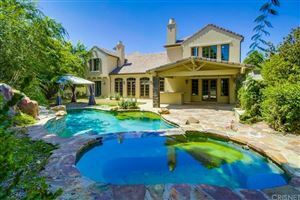 This gated community is home to many celebrities, such as Christina Aguilera and Charlie Sheen, who enjoy the security and privacy that the neighborhood offers. The community is guarded 24 hours per day, 7 days a week. In addition to making safety a top priority, this community also emphasizes the need for natural beauty. Lush gardens and landscape displays make this community appear more like a park than a typical residential neighborhood. Of course, the views of the city as well as the canyons only add to the ambiance. The grand homes within Mulholland Estates are fit for royalty, and priced accordingly. Prices begin around $2 million, but can climb as high as $15 million. It may not be the most expensive neighborhood in Los Angeles, but it is certainly an elite development by any standards. If you are considering an investment in Mulholland Estates, then you will want to work with an experienced real estate agent who specializes in luxury LA real estate. For more information on this gated community, contact our real estate team today.